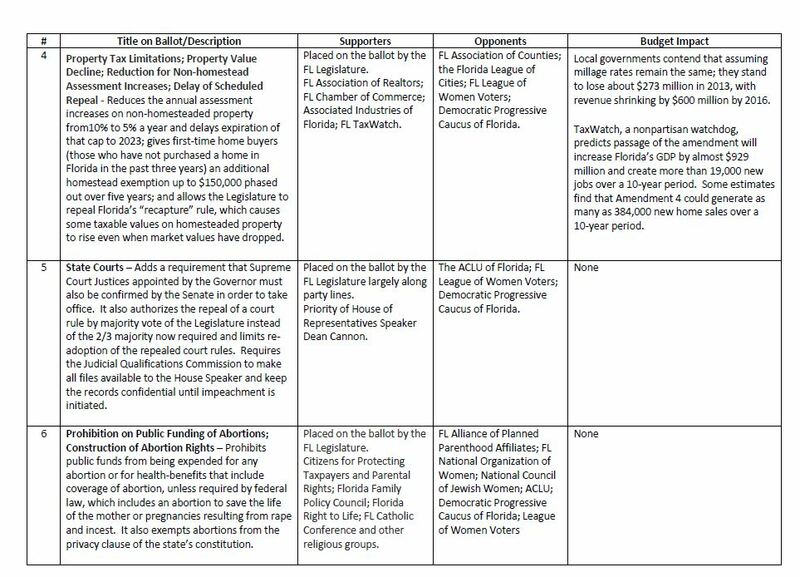 United Christians of Florida - Political Action Committe Confidently recommends a "YES" vote on ALL these amendments, based on the recommendations of an overwhelming majority of those we turn to for counsel and trust for spiritual and professional advice. 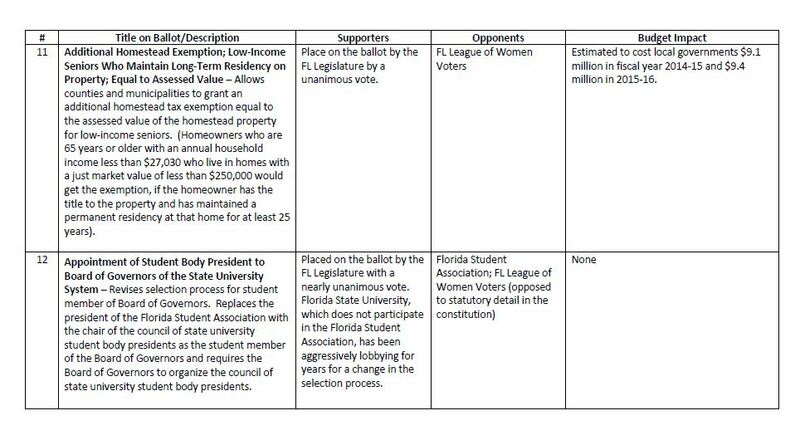 The following information is provided courtesy of our volunteer Mava Lowe and the resources located as researched by The FSU Collins Center. 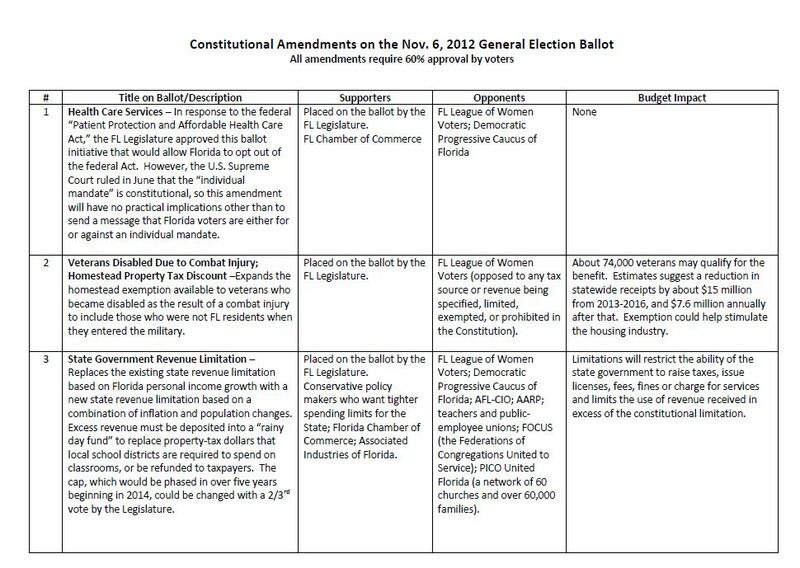 Please find their explanation of the 12 amendments that will be on our ballots and has explained what it means to vote no and what it means to vote yes. This should help before voting. 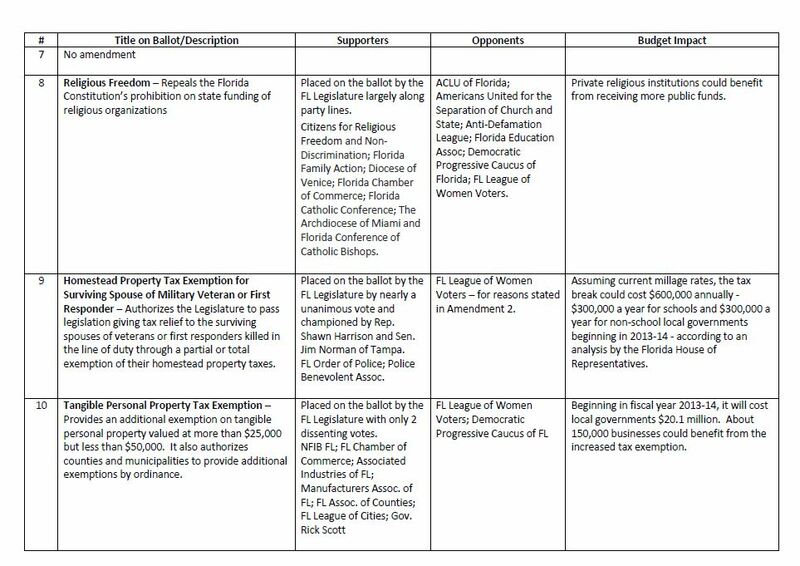 The following information may or may not have included -some- of the basis for the recommendations of United Christians Of Florida and was certainly only after other input and opinion was provided.